Contained within were excellent profiles of Mario Andretti and Sterlin Marlin but of greater interest to me were segments on Smokey Yunick and the Aero Wars of the late sixties. Yunick, the film established, was not a cheater but a great innovator. It was for the free thinkers like him that the rules were written. 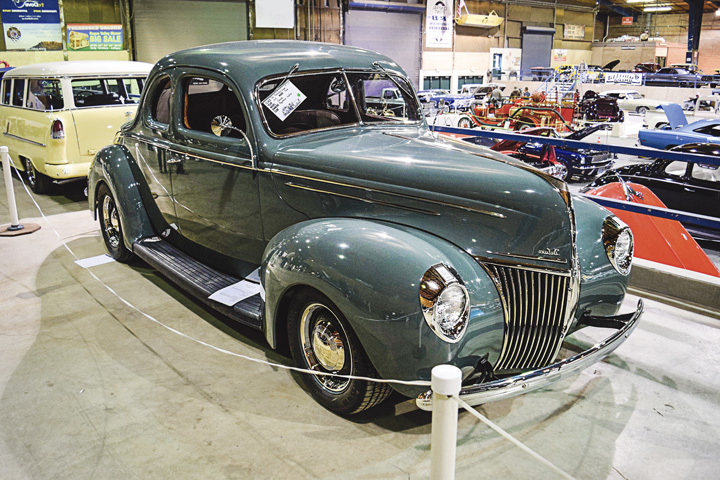 In the story about the cars themselves, the ways in which NASCAR influenced the auto makers (and vice versa) were discussed. It was an exciting time of growth for the series, to be sure but competition-wise, it wasn’t that great. When one team has a distinct advantage over the others, the racing isn’t close and there are few surprises. Today people complain about restrictor plate racing and “cookie cutter race cars” but in reality, the competition is closer than ever. Now everyone has virtually identical equipment so advantages must gained in other ways like pit strategies. Many enjoy romanticizing about the “Run watcha brung days” but truthfully, a lack of rules rarely results in close racing. Left unattended, “open competition” type racing in destined to fail. Let me give you a good example: Some of the races I attended as a teenager were foreign stock car events on a dirt road course. It was basically entry level racing and there was a separate class for the guys that wanted the freedom to hot rod their cars more. This class mostly consisted of VW bugs with over-sized racing tires and pumped up engines. By the time I started racing myself, the “Super Sedans” as they were called, were already in trouble. 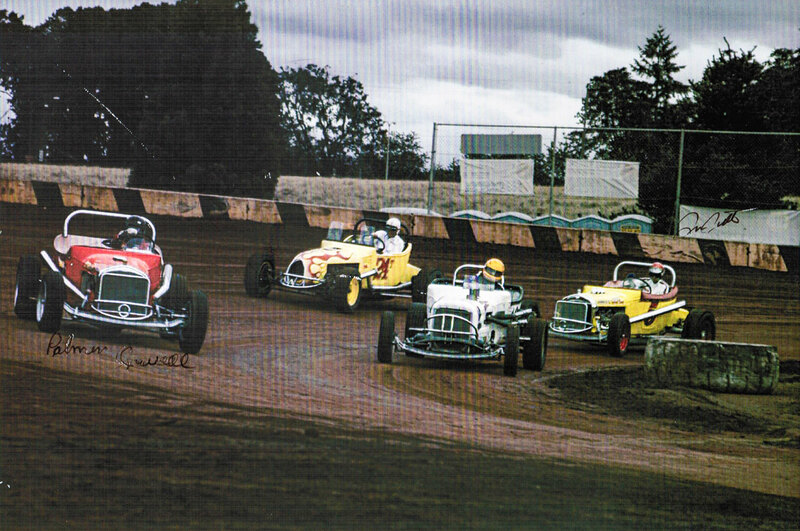 They had moved from the road course to the 3/8th mile oval and sprouted sprint car style wings. They were fast but that speed came at a hefty price. By the mid-eighties the division was down to a half dozen regular competitors. 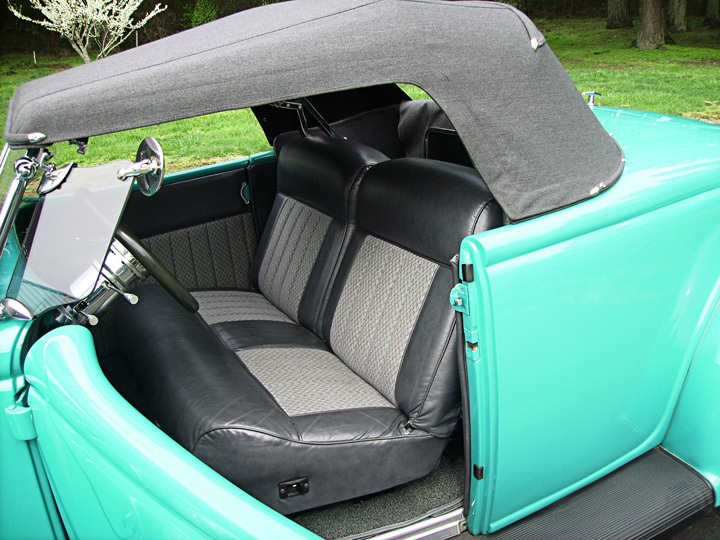 The class of the field was a Karmann Ghia with an alcohol injected, turbo charged engine. 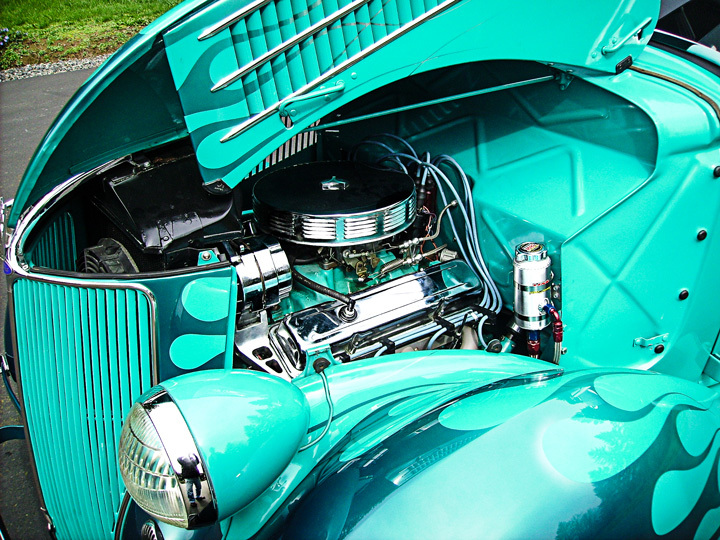 Mounted high above the motor was a long megaphone exhaust pipe that generally trailed about three feet of blue flame! Pretty spectacular. 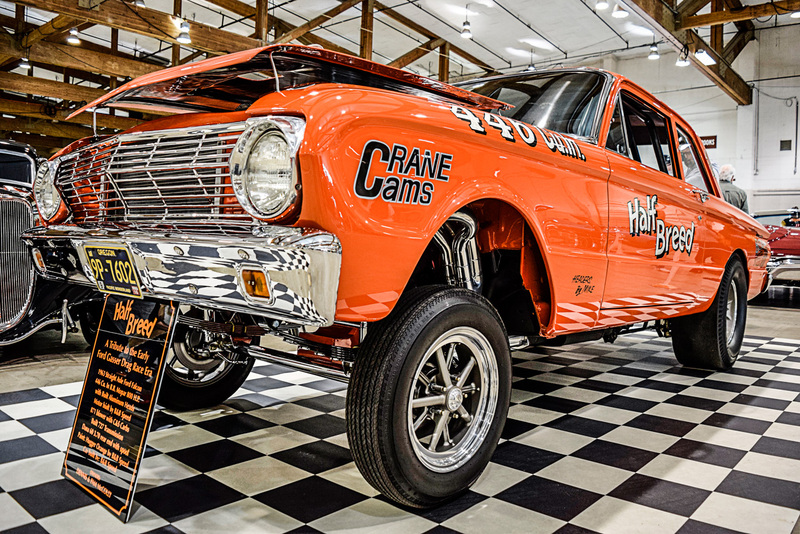 A cool race car… as they all were, but expensive to keep running. 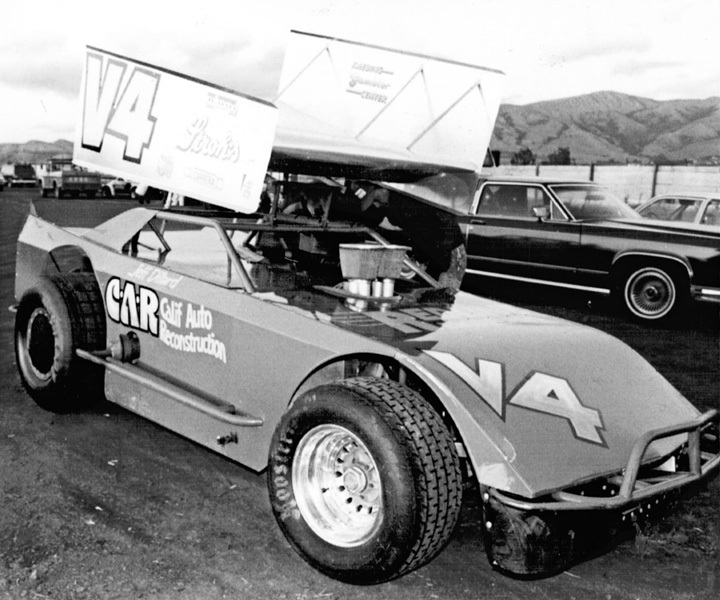 Gary Dillard had raced Super Sedans in the early seventies and had moved up to V-8 powered sprint car style Super Modifieds. When he crashed his Super, he pulled all the components out of his damaged chassis and hung them in his new Super Sedan. 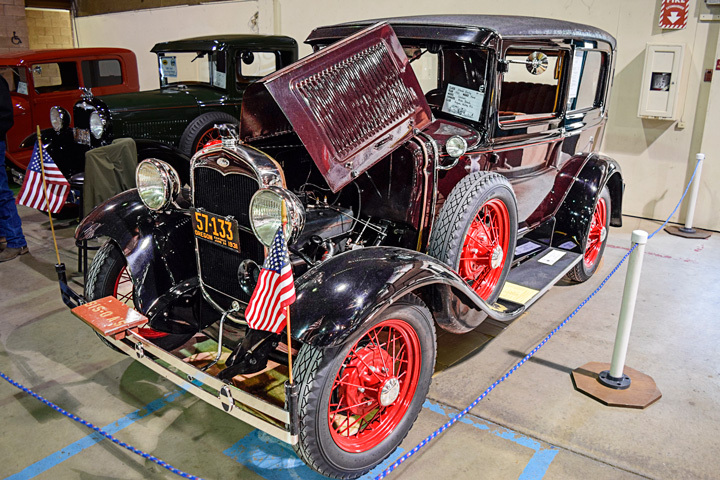 This car was significantly lighter than the Volkswagens thanks to a tube frame and a formed aluminum body. 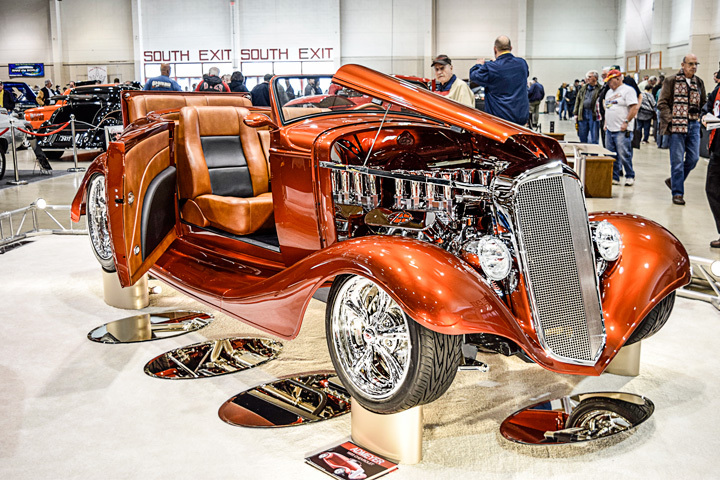 For power Dillard turned to a talented local builder named Mark Rohrman who built him an exotic V-4. It was literally half of a fuel injected small block Chevrolet, still displacing three liters. Interestingly, when Dillard got it wound up, it thundered just like it had all eight cylinders. The car debuted on May 3rd 1985 and promptly swept the program. When the V-4 returned a week later, Dillard captured his Heat and the Trophy Dash but broke in the Feature. And that was the way his season went. When the car stayed together, it destroyed the competition. It competed in nine of the twelve programs that year. It won six Features and broke down in the other three. It was truly a magnificent racecar. It was legal because essentially, there were no rules. I think most everyone appreciated what Dillard and Rohrman had created… except those who had to race against it. The VW guys got together and the V-4 was banned for 1986.They were back to racing each other (just the six of them on a good night) for the next couple of seasons. When the racetrack closed in 1988, all of the participating classes were invited to follow the Race Director to different venue within a couple hours’ tow—Everyone except the Super Sedans. Sadly, for them the final checkered flag had fallen. 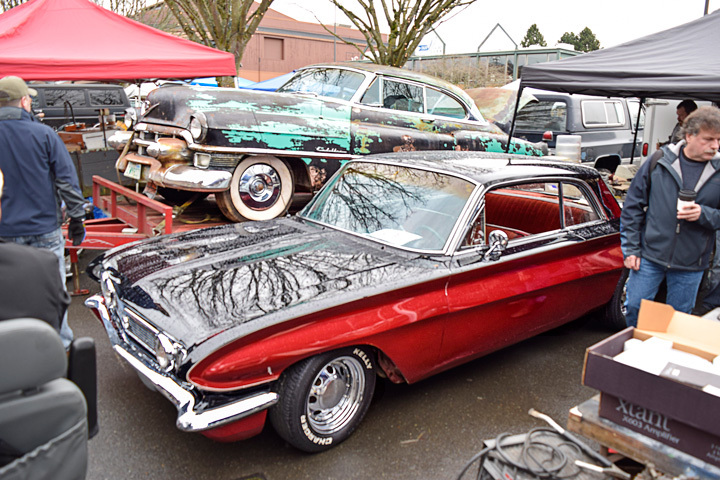 February and March appear to be “Car Show” months, at least here in the Northwest. 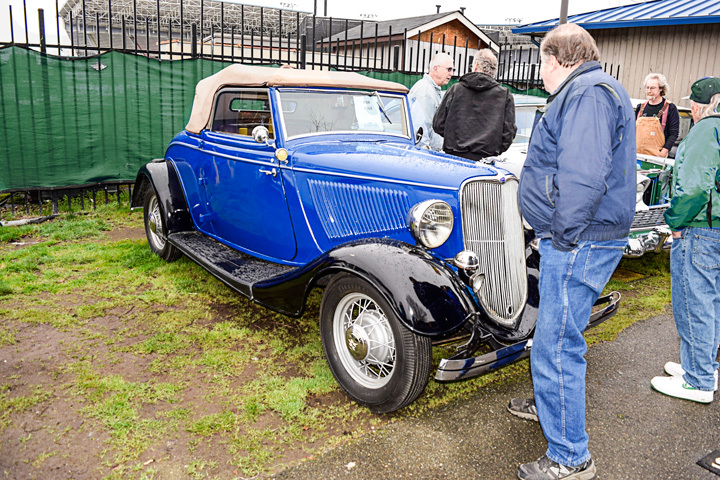 With the Salem Roadster Show in February and the 60th Annual Portland Roadster Show in March. The first one though was a little ways down the road in mid-February in Medford Oregon. Rich Wilson of Central Point, Oregon is the promoter for the first time this year and it really turned out to be a great show. 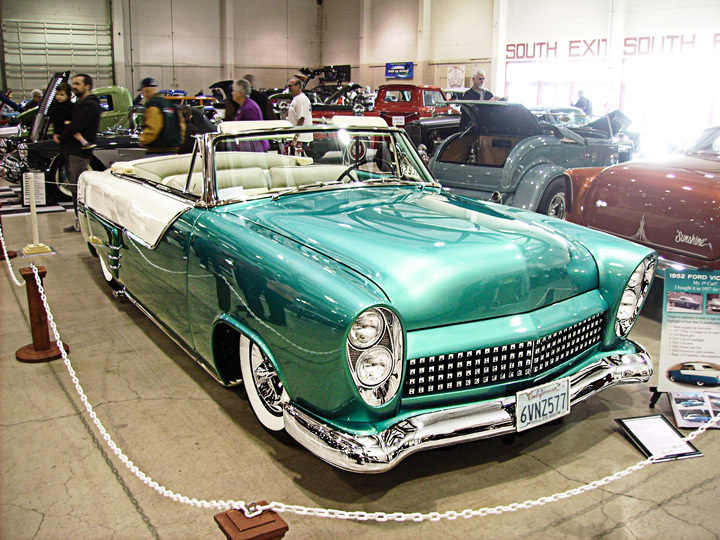 Even though this is Rich first Medford Roadster Show, I think he has done this before and folks he is good at it. 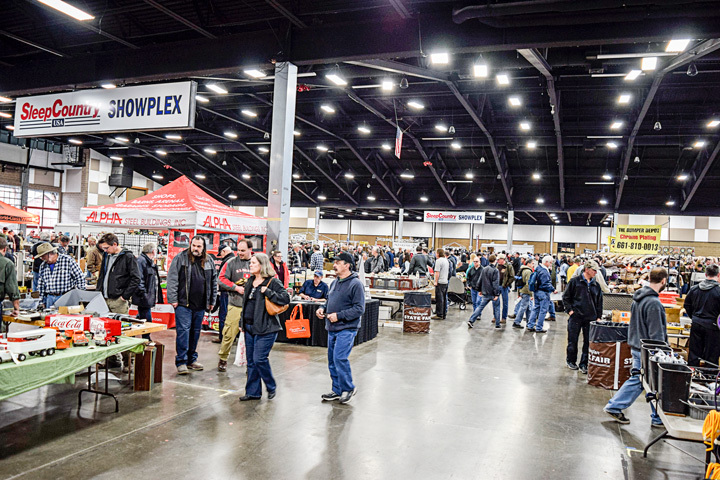 The show was spread out through three or four buildings at the Jackson County Expo Center with lots of vendors and separate displays of other than “show cars,” like Rat Rods and stock restorations. 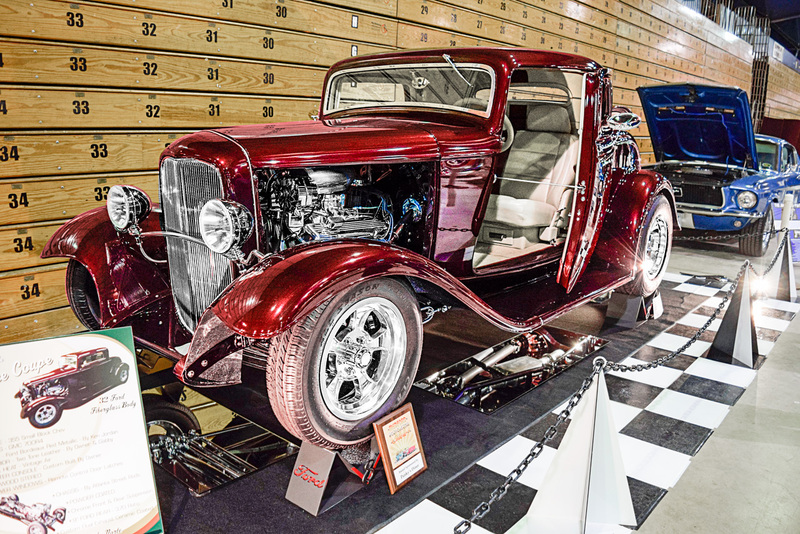 There were hot rods and street machines in the main building, which has two levels, the main floor and a mezzanine like level, which gives you an overview look at the mail floor. Different and it worked. They advertised a $1000.00 Cash Prize for Best of Show and gave a percentage of the profits to Charity. Rich did something that I’ve never seen before and what a great idea. 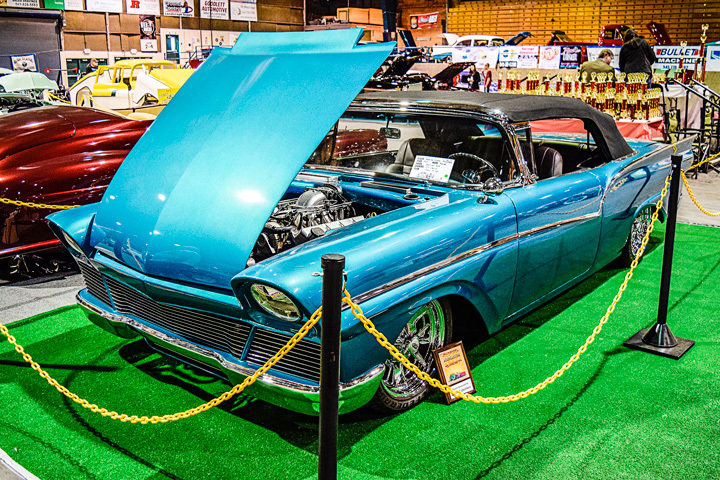 If you’ve ever entered your car in a show before you know you get pretty tired what with the set up and polishing and dusting and in general just hanging around once all that work is done. Well Rich created a little “Participants Lounge” if you will that was equipped with easy chairs, sofas, tables and chairs etc. and it was stocked with food and beverage and volunteer help where one could go take a break and get a bite to eat, and it was all included. Yep no charge. The food was terrific too. Spaghetti for one meal. Coffee and donuts in the morning, enchiladas for another lunch. Like I said I’ve never seen that before but it was a great idea and much appreciated by all who participated. 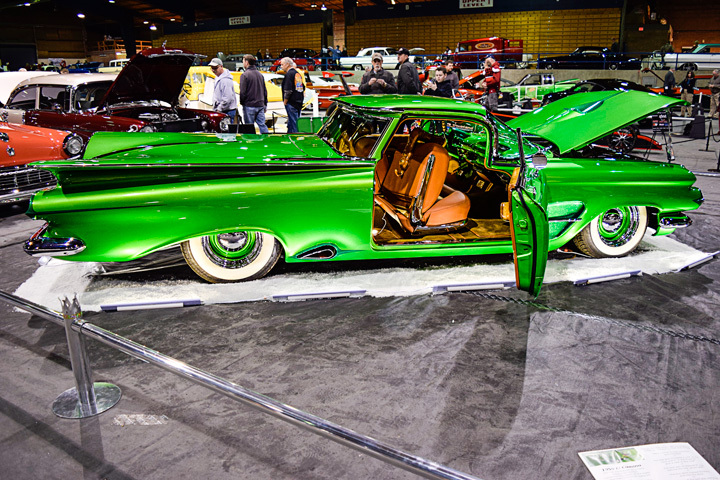 Put the 2016 Medford Roadster Show on your list for next year, it’s a good show. We ascertained before that there are a lot of car people out there and despite the Northwest reputation for rain, (I know I’m shocked too) there is actually a lot going on even during the winter. 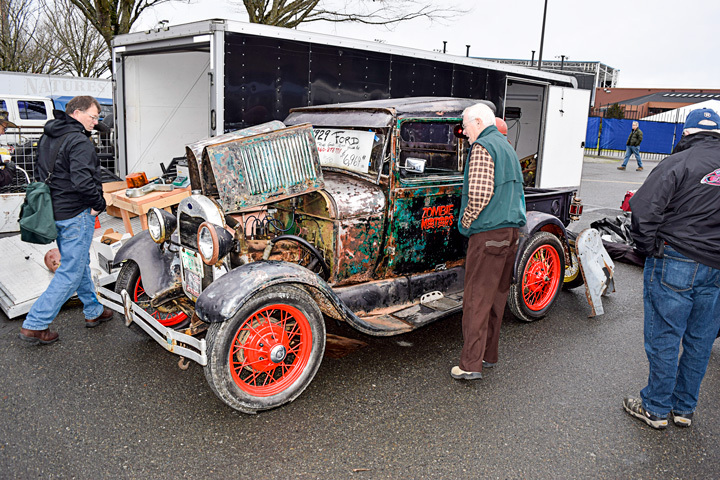 Swap meets seem to be happening all over the area and yes it has been raining some but the spirits of the participants and the people who attended didn’t seem to be dampened much. 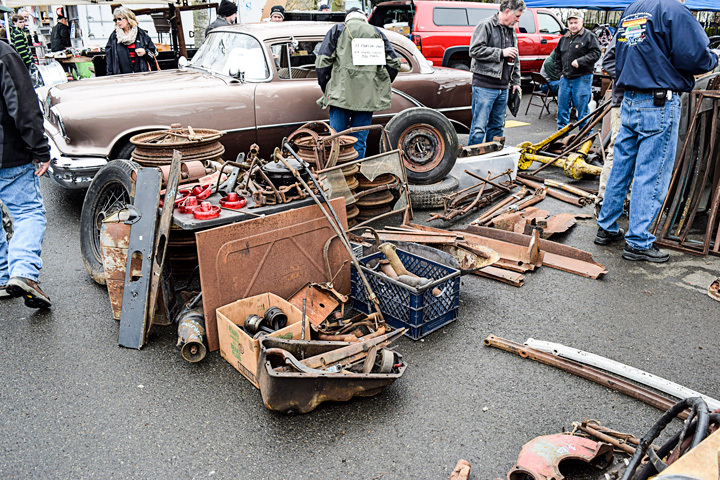 The Early Bird Swap Meet in Puyallup turned out to be quite a good swap meet, with lots of great deals on what could have been your next project and or parts for your current one. Did it rain? Yes but not a lot and a great deal of it was inside or at least undercover. Put this one on your list for next year. Most of us have a classic car that we have dreamed of owning, but due to circumstances the opportunity has never presented itself. 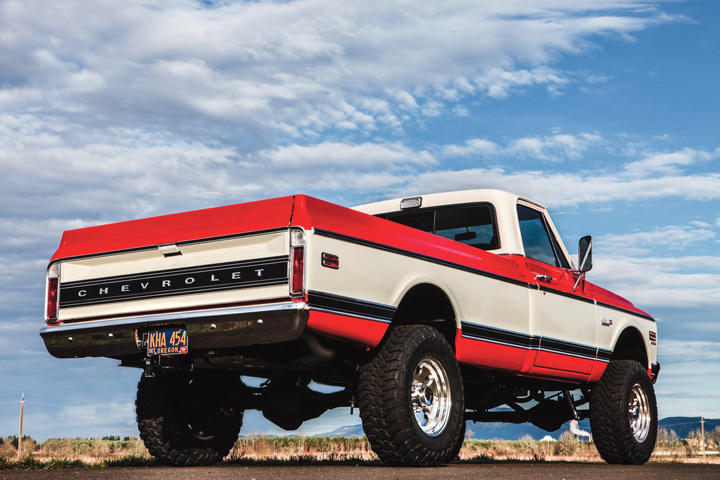 With luck and time many dreams can become reality if we are patient enough—such was the case with Ron Braxling, and his dream of owning a 1972 Chevy Cheyenne 20 Super truck. Ron had always been drawn to ’72 Chevy trucks. 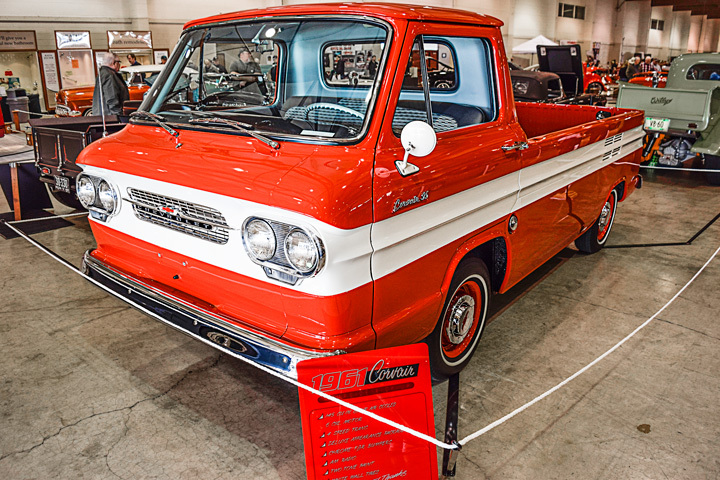 There was just something about the body style and trim packages of the Cheyenne 20 Supers; but with a busy life raising a family, and running a business, Ron put aside his dream truck until the timing was finally right. 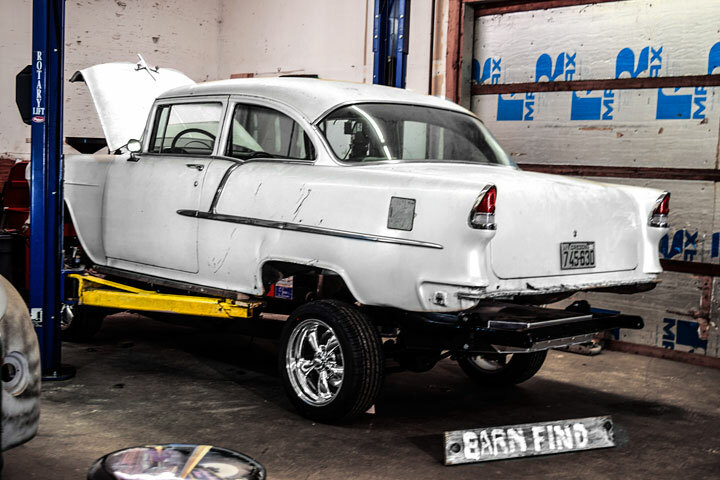 Like many modern car shoppers Ron began hunting online for a truck, and a shop to restore a potential project. A truck was located first, a very nice example of a ’72 Cheyenne in fact. 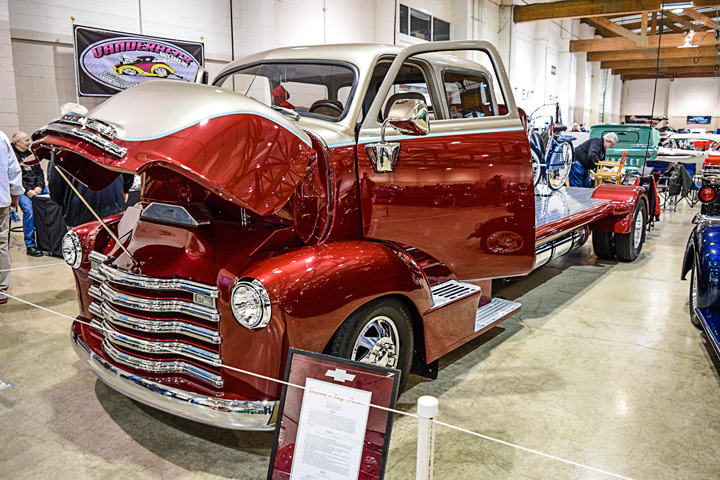 Ron continued his search for a shop to build the truck into his vision, and came across MetalWorks Classic Auto Restoration in Eugene, Oregon. 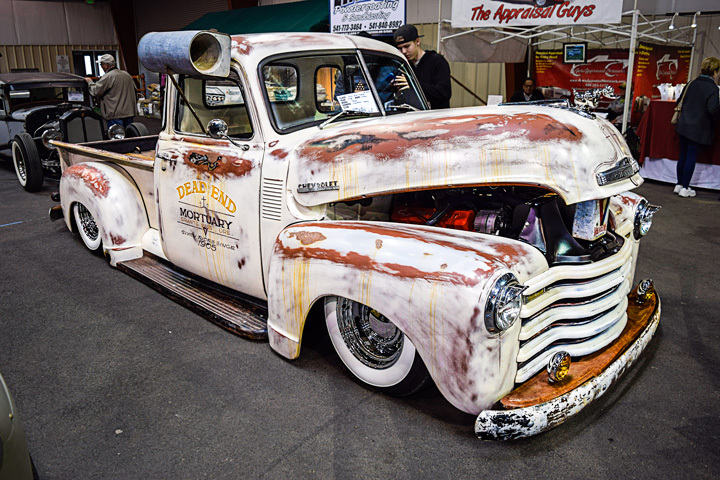 Ron and owner Jon hit it off right away, and shared a common vision for a truck build, except for one problem—Ron had purchased too nice of a truck… ha ha. 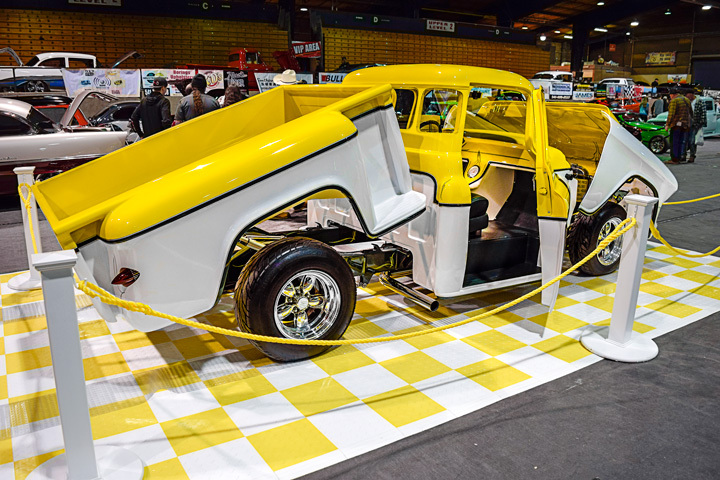 Now, you might be wondering how that is possible, but the reasoning was that Ron had some pretty cool upgrades in mind for his dream build, and it would be a shame to alter the original truck he had purchased. Ironically Jon had just purchased an extremely nice, but ultra plane Jane ’72 2WD C10 truck, and in the end it was concluded that it would be best to leave Ron’s initial truck purchase unaltered and instead build the C10. The team at MetalWorks got busy and within a day the C10 was blown apart and sent off to MetalWorks acid dipping facility. 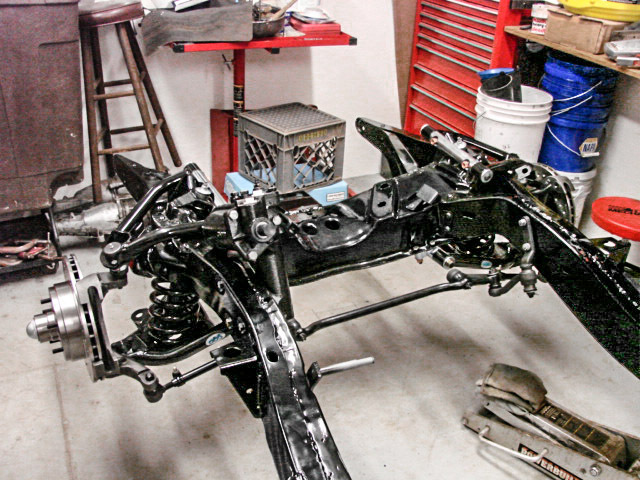 What came back from dipping was a perfect ground zero starting point as the C10’s body was solid, and straight. 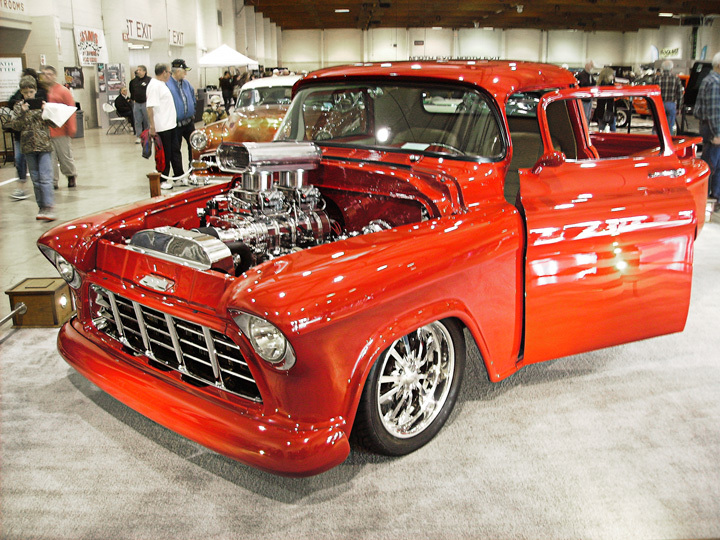 As I mentioned Ron had some cool upgrades in mind for his dream truck and the crown jewel came in the form of a 556 hp supercharged LSA engine backed by a 4L85E trans. 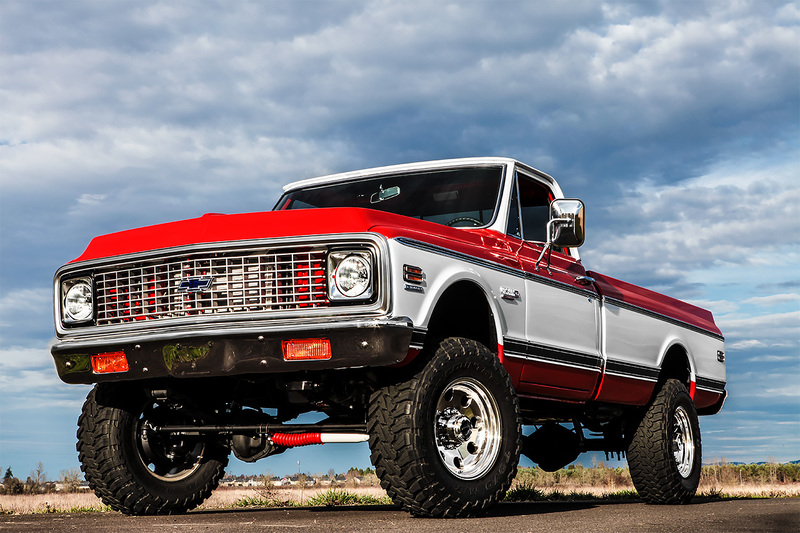 MetalWorks spent the next 9 months transforming the 2WD C10 into a custom version of a 4WD Cheyenne 20 Super. The only external mods are a 6” lift with custom wheels and tires. 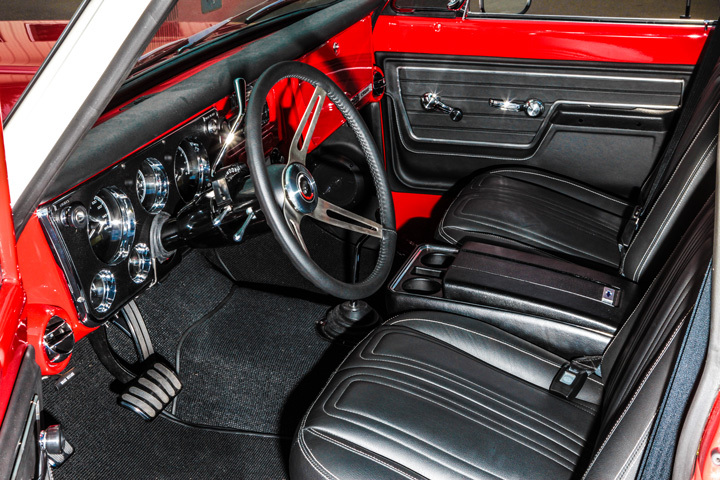 Inside the 72 we find an OEM styled leather interior, Dakota Digital gauges, power sliding rear window, and a host of well hidden stereo components. 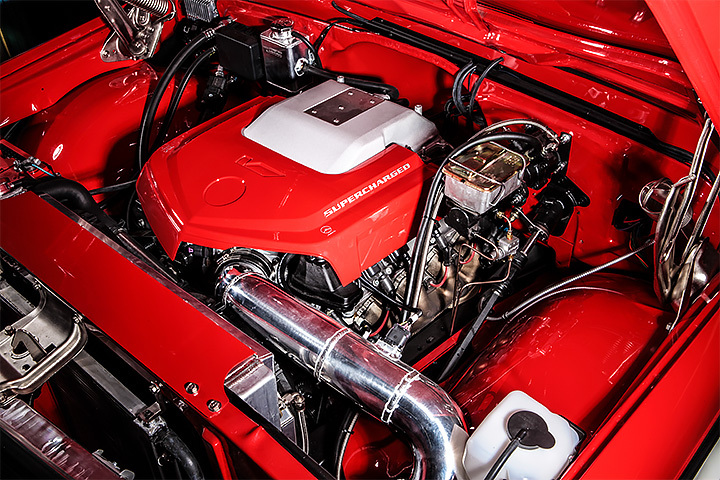 As amazing as the ’72 appears externally, what is hiding under the hood is what always creates wide eyed stares of disbelief whenever Ron lifts the hood—like the opening of a gold filled treasure chest. In the end Ron got his dream truck. One well worth the wait until the timing was right in his life. So what does one do with a gorgeous 4×4 truck packing 556 hp? The possibilities are endless, some would say hit the local mud hole, while others cringe at the thought of the truck even seeing rain. Only Ron truly knows the truck’s future, but if you spot this beauty rolling down the highways and byways of the Pacific Northwest, feel free to give Ron a thumbs up. He’ll be the guy behind the wheel with a smile on his face. Marine “Kuzie” Kuzmanich is a party guy. He’s been throwing parties for himself for as long as anyone can remember. Used to be that he’d prepare all the food for the party too, but at eighty nine, he now leaves that responsibility to others. Today he is confined to a wheelchair and has little mobility; still he enjoys being the center of attention. It is hard to imagine that fifty some years ago, behind the wheel of a stock car, he was virtually unbeatable. Kuzmanich and Donald “Duck” Collins met as teenagers. Both attended Benson technical high school in Portland and became fast friends. 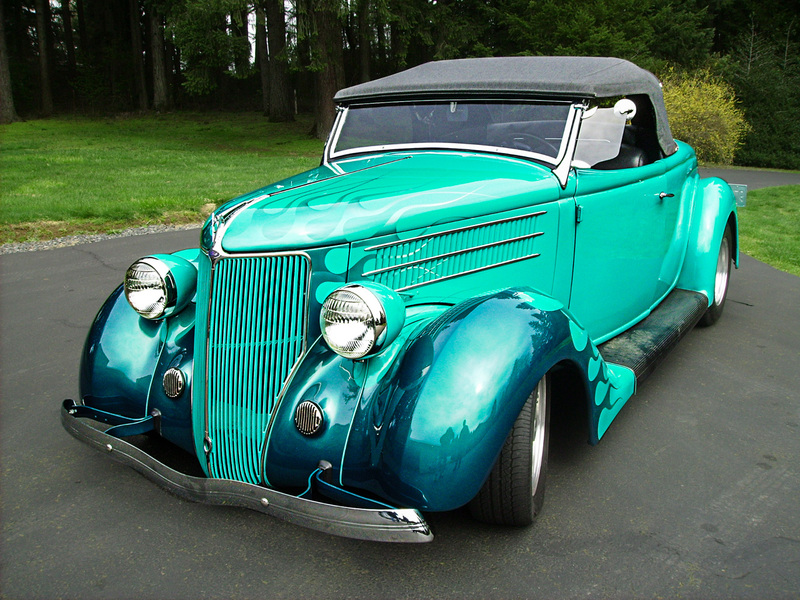 After the war, Collins pieced together a roadster and joined a group of grass root enthusiasts out at the Portland ½ mile oval. Initially, Collins planned to pilot his creation himself but when his buddy was able to circulate a second and a half a lap faster, Kuzie became the designated driver. In their first outing, Kuzmanich hustled the roadster up to second place in the fifty lap Feature before a front tire disintegrated. After quickly replacing the wheel, they reentered the fray and finished seventh. It was out of the money but still deemed a success and a partnership was born. 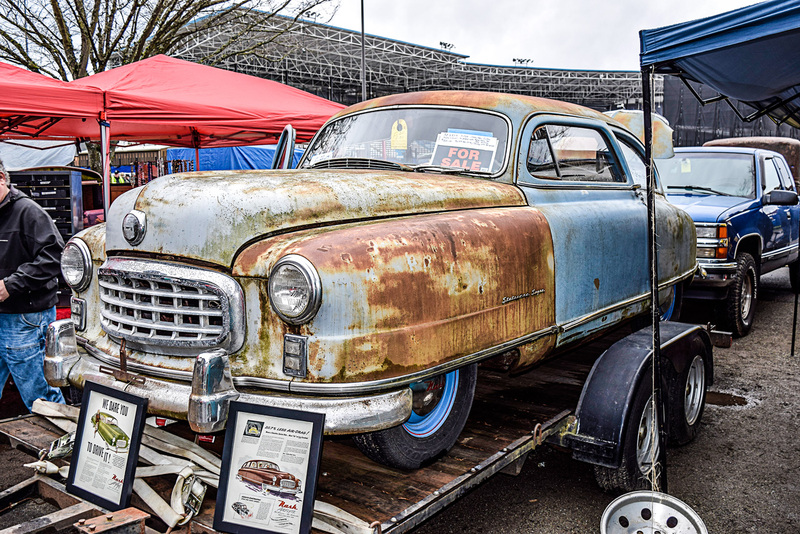 The late 1940’s and early fifties were filled with low key circle track events (and even some drag racing) primarily at Portland and nearby Jantzen Beach Arena. 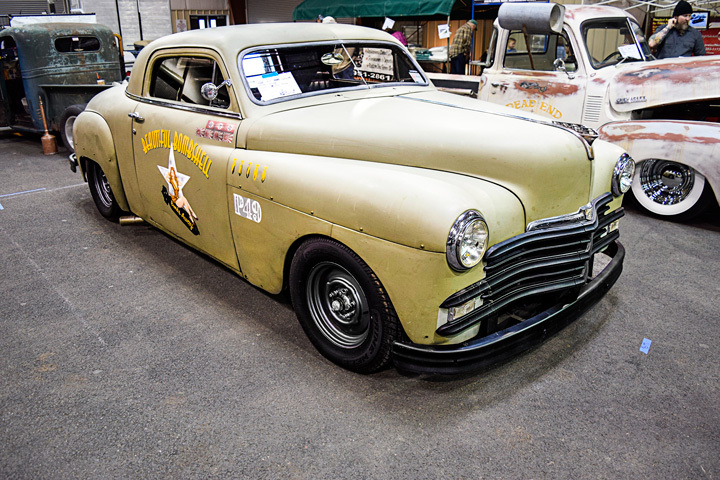 In the mid-fifties, stock cars became the rage and the team assembled a ’48 Mercury to compete in the Early Model division. All the while, Kuzmanich and Collins worked fulltime jobs and raised families. To them, racing was just a hobby yet they were always competitive and won their share of races. 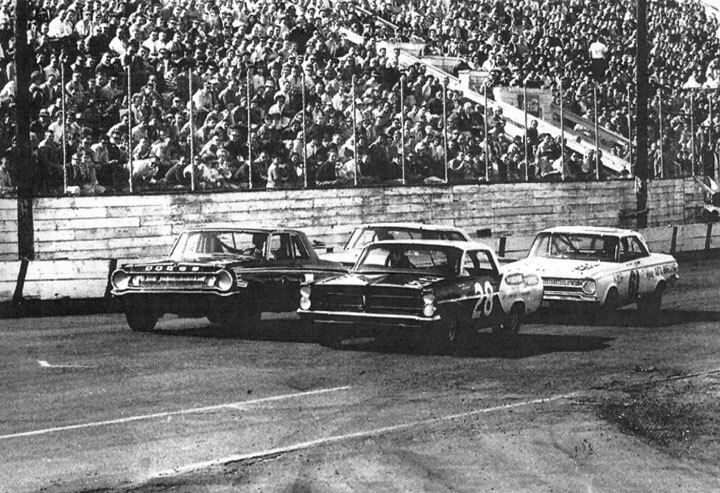 Stock car racing continued to grow in popularity and after Kuzie captured the Late Model Championship in 1958, the racing community really began to take notice. Saavy businessman Bud Meadows who owned the Pontiac dealership on Sandy Boulevard, was one who’d had his eye on the duo. 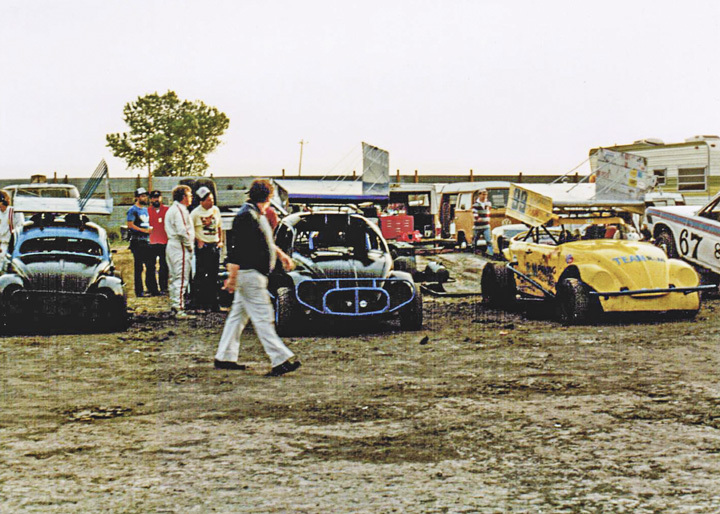 Meadows first became interested in racing while watching his daughter (Merit) wheel quarter midgets. Merit Meadows was a talented enough racer to win back to back state championships and in 1959 claimed a national title. At sixteen years of age she hung up her helmet however, so her father was on the lookout for his next racing venture. With a full understanding of the adage: “Win on Sunday – Sell on Monday”, Meadows chose to align himself with Kuzmanich and Collins. He put Kuzie on a flight to the Midwest to pick up their new racer; a flat, sleek looking Catalina. The Pontiac was purchased with a 389 c.i. engine. It had dual four barrel carbs and NO options. Norm Zaayer who was an original crew member on the team, laughs “It had glass in it and that was all! No heater even, so Kuzie about froze to death driving it home!” Once back in Portland it was gutted and prepped for racing. 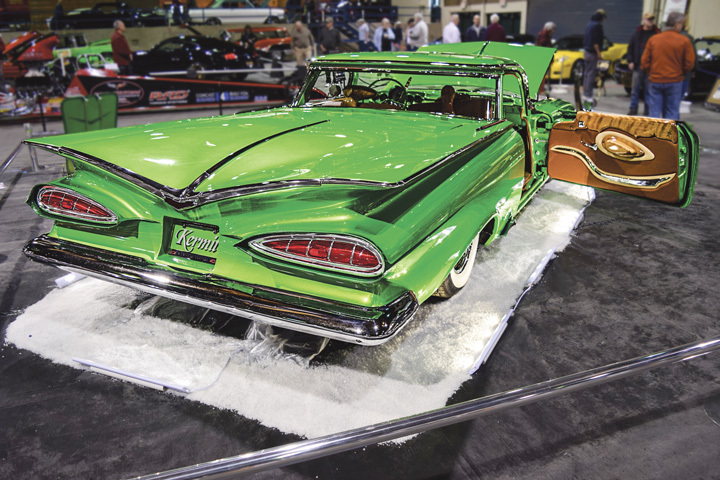 On the hood it boast 333 horsepower (apparently Bor-A-Car did some of the machine work) and “Little Beaver” adorned the front quarter panels. The Pontiac was fast right out of the box. In an early season contest that included several NASCAR hot dogs up from California, Kuzmanich came out on top. First he lowered the track record in qualifying then led every lap of the Feature. Many of the five thousand plus in attendance that day said it was the finest race they’d ever seen. Kuzmanich completed the 175 laps in one hour and twenty two minutes. The race was run without a single incident. 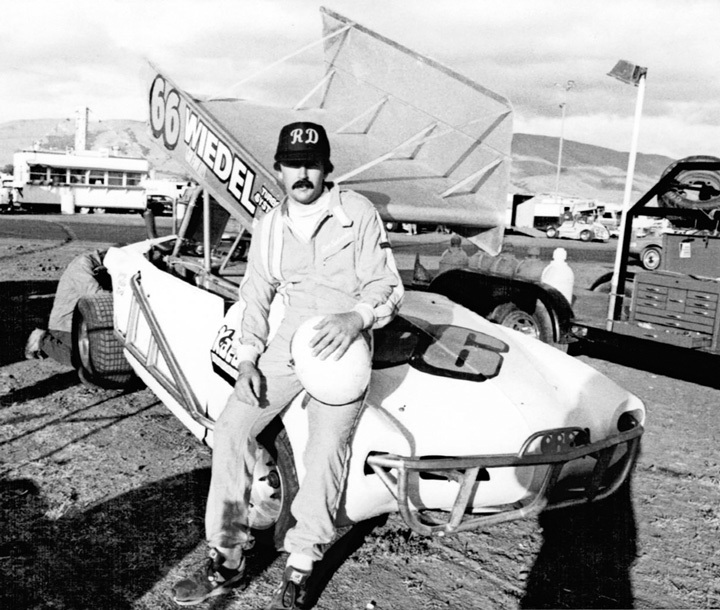 When NASCAR brought west coast Champion Eddie Gray up from Southern California for a 250 lap race he had his hands full with local talent. Portlanders Art Watts and Carl Joiner both gave Gray a run for the money but it was Kuzie in the Pontiac crossing the finish line in second. By the conclusion of the ’60 season the Bud Meadows team had broken several track records, won numerous races and garnered third in the overall O.A.R.A. (Oregon Auto Racing Association) championship. For their 1961 entry, Kuzmanich and Collins only had to drive as far as the dealership. This model (a “Ventura” procured from one of their salesmen) too was a winner thanks to Kuzie’s skill behind the wheel and Collins’ race prep and maintenance. Rarely did they not finish a race and as a result, they improved their championship standing to second. They liked their ’61 car so well in fact, that they elected to run it again it ’62. While their competitors were busy sorting out new mounts, the Meadows team won three of their first four races. By early Fall, they were O.A.R.A. Champions. And as if to prove this was no fluke, they repeat as champions again in 1963. 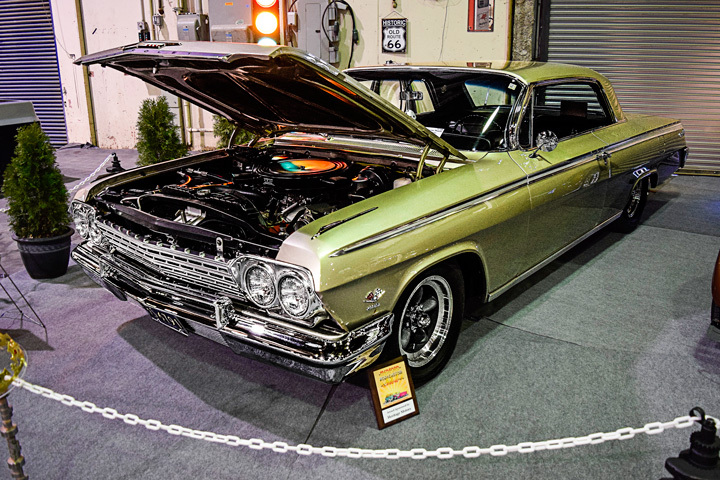 At some point during the ’63 season, a new Pontiac with stacked headlights was introduced. This racer, perhaps the most handsome of the lot, was painted black with only the roof and rear quarter panels in white. It boast 405 horsepower from its 421 c.i. mill and had a huge numeral “1” emblazoned on the doors. At the end of their second championship season, it was announced that a new “Tempest” would be built to defend their titles but apparently this car never materialized. Instead the ’63 car (now renumbered #28) was campaigned again in 1964 and though competitive, it was not the winner the 1960 or ’61 cars had been. Shortly thereafter, Meadows decided to pursue other interests and the team was disbanded. Collins shifted his focus to open wheel cars though he and Kuzie remained the best of friends. 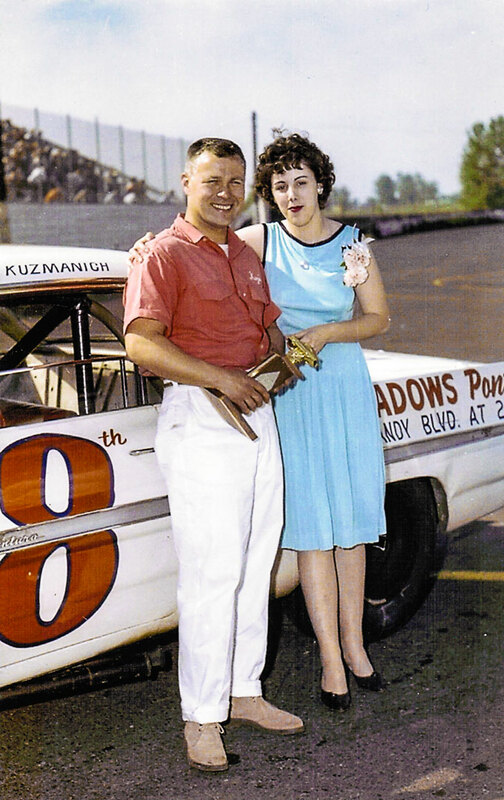 Kuzmanich’s last race was likely a NASCAR Winston West meet in Monroe Washington on July 4th, 1968. He is credited with finishing eighteenth. Today Kuzie’s room at the retirement home is devoid of racing mementos. His family tells me that he doesn’t like to be reminded of things he can’t do any longer. I can tell you that no one looks forward to the Old Timer’s picnic more than Kuzie Kuzmanich- He still likes to party. On February 12, 2014 the National Corvette Museum experienced a massive sinkhole collapse in the Skydome of the Museum, taking with it eight prized Corvettes—and it was all caught on security footage that has since been viewed more than 8.6 million times. The Corvettes have been recovered, two have been restored, and the hole has been filed. Due to the popularity of the sinkhole story, the Museum worked with Creative Arts Unlimited to develop an immersive exhibit chronicling the story. 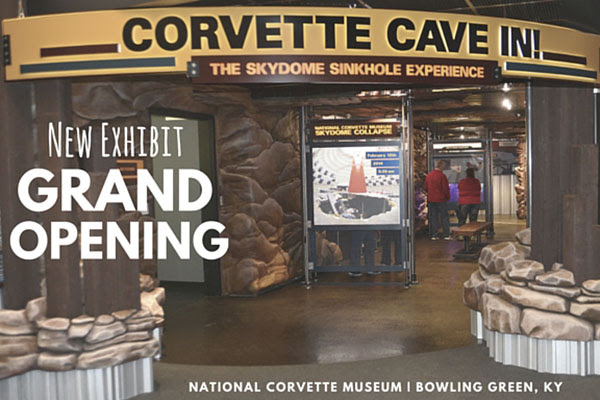 On Friday February 12, 2016, the second anniversary of the sink-hole disaster, the Museum opened the Skydome Sinkhole Exhibit at the National Corvette Museum in Boling Green Kentucky. If you are looking for a vacation destination consider a stop at the National Corvette Museum where you can check out this new display and well as enjoy the history of Americas Sports Car. Don’t forget the Corvette factory is just across the freeway where you can take a tour and see new Corvettes being built. 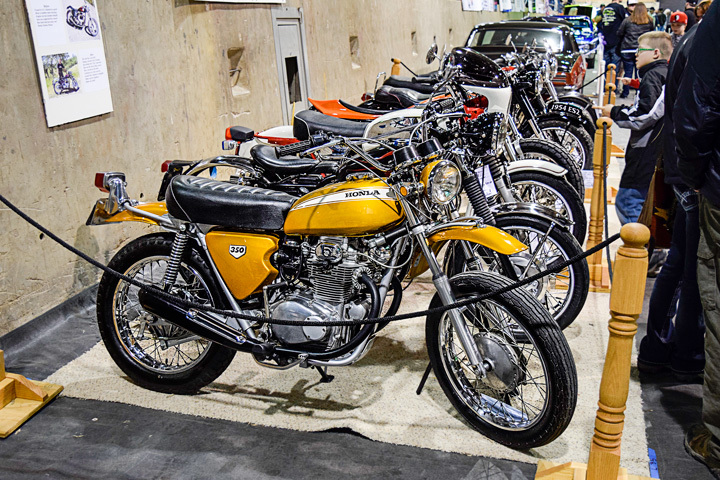 A real treat for most any gearhead. Some of you will remember the story about my “55 Barn Find” from a nearly a few years ago, some of you won’t. I’ll catch everyone up now. I bought a 55 Chevrolet 2dr. Delray that I referred to as a “Barn Find.” It have been languishing in a “Barn” for some thirteen years under the ownership of the guy I bought it from. That dated back to 1999. Prior to that the car likely sat unused for a minimum of another 12 or 13 years. The last license date was 1987. The car appeared to be in “OK” condition, even if unused for a lengthy slumber. I found only minor rust, really, considering the car’s age. A few dents, cracked windows, stuck latches, locks, flat tires etc. and it didn’t run, heck it barely rolled. The brakes were gone, battery dead and yet to me it was a beauty. When trailered my treasure home from miles north of Seattle back to Oregon and I got the chance to look it over better I decided it looked like it would maybe run if I just woke it up. decided to try and rebuilt the carb, the generator, replaced the distributor, repaired and replaced as necessary, the exhaust, the fuel lines, the fuel pump, the gas tank, the battery, the fan belt, the spark plugs, the oil and filter. The engine turned over and eventually it even started, but it ran on about 3 of the 6 cylinders. The valves were stuck so I literally used a pri-bar to close the valves each time they stuck open and I kept doing that until eventually they began to open and close on their own. Once it got it to where it would run I addressed the brakes, repairing and replacing as needed to get the car to stop. “Wow I’ve wanted another one of these for 40 plus years? “What a pile.” “I don’t remember the one I used to have being so bad.” This thing was awful, worn out, even dangerous. I had never intended to “restore” it back to stock, I just wanted to get it running and mobile so that I could drive it occasionally as I set about collecting the many parts I needed to create the car of my dreams. I had to laugh at myself, “car of my dreams?” it was a nightmare. Fast forward some time now from then to 2016. The car sat around waiting while I bought parts, restored another frame for it, pulled the engine and transmission from a wrecked Chevy Suburban, built a narrowed 9in. posi-traction differential, relocated the rear springs to allow for wider wheels and tires, installed tubular A-arm, new springs etc. etc. As it often happens one runs out of money before the run out of things to buy. That dilemma post-pones everything for a while and that brings me up to date. After collecting parts and pieces as I could afford them, I’m now able to get back to work. I cleared away the moth balls, charged the low battery, hand choked it and fired it up a few weeks back. I pulled it out of the shop and drove it around the yard a little and then put it on the 2 post. It was at last the time to take the car apart enough to get it off its original frame. I disconnected the steering gear box from the frame, discovered I didn’t have a pitman arm puller or a socket big enough to remove the nut holding the pitman arm on the steering shaft, so I called a “real” mechanic, my friend Jim and he said yes he had both and yes I could borrow them. You know it’s amazing how easy the right tools make some jobs. I mean it, it took every bit of 2 minutes to get the nut off and then pull the pitman arm. Thanks Jim. There are 14 bolts that actually bolt the body to the frame through the rubber mounting bushings, floors and body mount brackets. Surprisingly all of them came out without much fuss… except that one. Of course the one that was rusted/stuck badly had to be one that you couldn’t get to both ends of. After several different attempts to loosen it I decided I’d just drag out the plasma cutter and cut the nut off, easy huh? I’m never surprised at my lack of patience. I can usually plod along on most jobs because I’m aware that it’s a process. Many steps have to be taken to get the work done. There just isn’t any fast way or a short cut one can use to significantly shorten the process, but I always have to try. I bet you do to. Back to the plasma cutter. The car is on the rack, up in the air (above me) so I can get to the bolt under the rear splash apron. It’s the bolt that’s right in a little “pocket” that you can get to but there, is a 90 degree closed corner behind the bolt. I figured it would be simple and my lack of patience convinced me I was right. I didn’t need to put on my welding jacket, I wasn’t “welding,” I was just going to cut the end off one little bolt. I didn’t think about the fact that there would be “sparks and molten metal, being splattered by the high pressure air from the plasma torch, into a corner where the only way out was right back at ME! The molten slag that went down my open coveralls only burned for a minute. Now three weeks later, I’ve healed almost completely, all except my pride. The core support has 2 bolts that bolt it to the frame in front so those bolts had to come out. 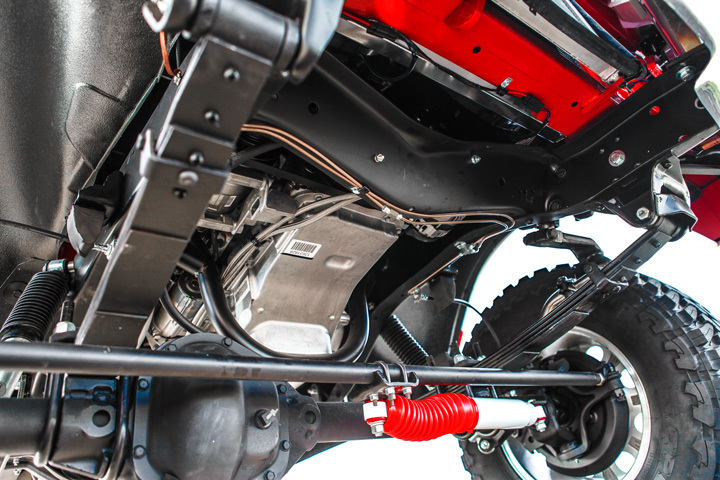 All the shift linkage, gas pedal linkage, brake lines at the master cylinder, wires from the firewall to the engine, emergency brake cable connections, battery cables, fuel line at the gas tank and the speedo cable were all disconnected. I set the car down on its tires again and using some 2X4’s under the rocker panels, I set the lift arms and slowly raise the body from the frame. On the 55 there is a small “L” bracket on each side of the frame at the bottom of front fender splash apron where the splash apron is bolted with a sheet metal screw. Though I took the bolts out, the apron flange and the frame bracket interfere with each other and require a little finesse to get them to clear each other as the body is lifted, and ‘VIOLA’ the body is off! Remembering back to the patience I don’t have, I had to get the “new” frame rolled up under the body to attempt a test fit. Well that couldn’t work because I’ve installed an oversized frame mounted gas tank and the spare tire well won’t clear it and the steering column has to come out before I can attempt to put the body on the frame. Well now we are kinda up to date on the “55 Barn Find.” I’ll put together another installment for a future issue. It is getting exciting for me. See you next time. ED. 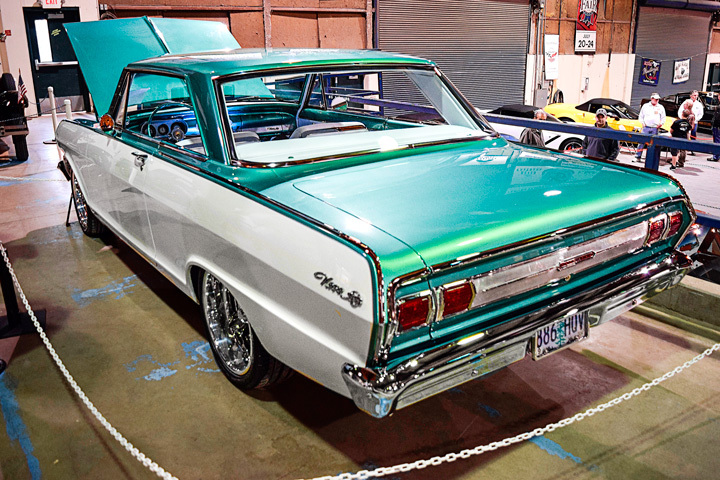 Here is a topic that’s often discussed by many people in the car hobby. 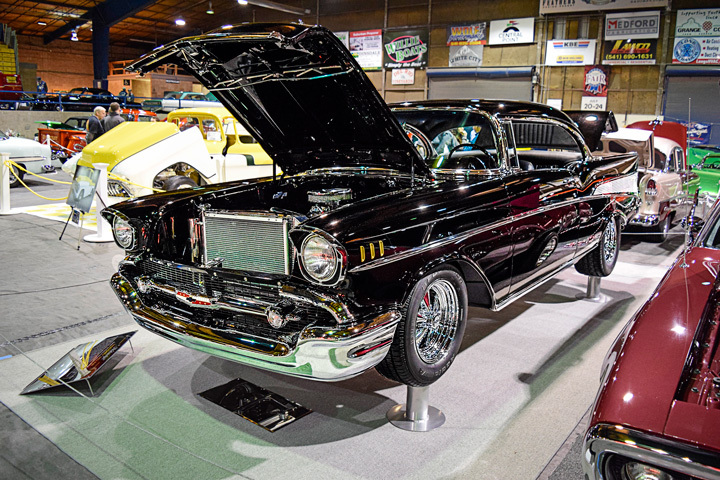 The one about transplanting a later model engine, transmission, differential, suspension, steering or brakes in an old car. This discussion sometimes goes like, “I’m going to put an LS based engine and an overdrive transmission, in my blah blah blah.” Speaking from experience, one then starts seeking out info from others on how to do this transplant. Seeking out books, publications and articles in a myriad of magazines is also a source for accomplishing this goal. I’ve looked and read and talked to many people about how my goal could be met, as have many of my friends. One thing that seems constant is how, when talked about, it’s always an ‘easy’ ‘simple’ one or two step process. Well, some of that is right, the process part. I’m here to tell you the easy part or the simple part usually ain’t. And the “all you gotta do is…” is never ALL YOU GOTTA DO. Neither is the, “you only need one of…!” It just isn’t true. I’ve discussed this situation almost at every turn with many of friends. We have all experienced a similar thing. Bob installed and uninstalled his engine and trans maybe 30 or 40 times, (I’m exaggerating, it was only 29) but you get the idea. My friend Jeff and I were narrowing and building Ford 9” differentials at the same time and the same was true in that process. 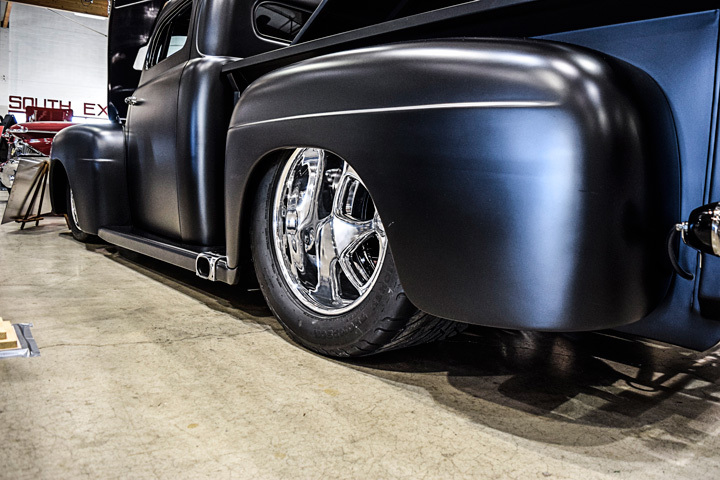 Ford 9 inch diffs are offset to one side and have to be centered in a Chevy to keep the driveshaft in the proper relationship with the engine/transmission. This is in addition to making sure you have the correct pinion angle. My son was putting a 400 small block in his pickup that had had a small block in it already. He experienced difficulty with fitment issue too. He was exasperated (and tired) when he said, “I just want it to go back together with ease, I’m tired of fighting every step. I don’t understand why it won’t work…” I tried to calm him frustration by explaining that when we get these bright ideas to “fix” our cars and trucks we are actually re-engineering a machine. Unfortunately we don’t have the knowledge that trained engineers have or the resources, so our process is simply trial and error, or my case, error and error. It’s almost funny when I think about how many parts I’ve bought only to find out “that won’t work with this” or “that only fits if you also use one of those.” I’m sure that many of you can relate to this situation. You know though, it’s really all part of the fun. I like the challenge of figuring out how to do things I’ve never done before. I get a sense of accomplishment when I succeed. I think that’s one of the reasons we mess with this car hobby.